Bridal accessories transform your look so it is important to make the right choices and explore your own personal style. When choosing your dress it is best to try lots of different styles and ideas, every dress is unique and as such requires a whole new look when it comes to accessories. Take Veils for example, there are some gowns that scream out for a veil to complete the look while for others a veil would spoil the dress. We have purchased accessories that directly complement the gowns we stock. If your dress is very simple at the back a full length veil with a bit of sparkle would be great to add some interest, if you are going for a more Vintage or Art Deco look try out some side headbands as a fitting alternative to the traditional tiara, or be brave and consider more on trend options like birdcage or lace face veils. For a simpler, elegant look just using a classic corsage in the hair can look stunning. You spend a lot of money on your gown and it’s wise to invest inBridal accessories Yorkshire that fit your dress, the overall look will have a much bigger impact. We tell all of our brides that the most unique and show stopping looks are created by experimenting. We are a busy boutique with lots of exciting events, launches, sales and collaborations. If you want to be among the first to hear about them please sign up to our newsletter below. We promise not to hound you with tons of stuff, just some occasional pretty in our newsletter and the odd special invite. We will never pass your information to third parties either! This year’s collection is full of fashion inspired pieces, from capes and wraps, to full length cathedral veils. Whether it be a gorgeous pearl comb, a lace edge or your name embroidered on the bottom of a long veil, bespoke orders are welcomed and encouraged. Their Factory is based in Wales and source only the best Tulle from the most reputable mills and lace from all four corners of the earth. They even still hand cut their veils, so no machine will touch the delicate frills of your beloved veil. Rainbow Club have been designing, making and colouring handmade satin wedding shoes since the mid 1980s and are now firmly established as the UK´s leading and most inspirational producers. Many of the styles can be dyed too, so whether you are looking for bright coloured shoes for under your gown of if it’s just to get them dyed black after the event, Rainbow Club represent excellent value for money. 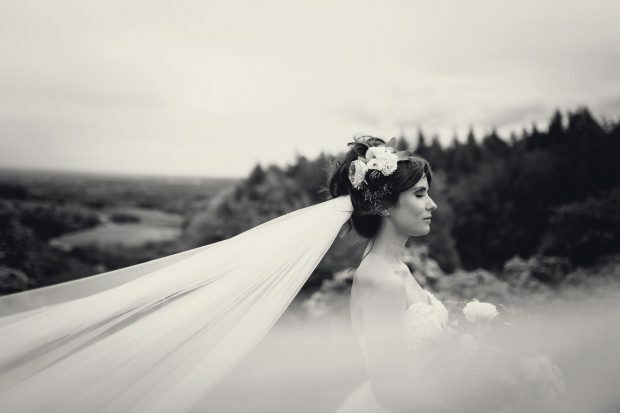 Having the most extensive range of bridal veils, tiaras and accessories in the country, Richard Designs have been making wedding days special for over 25 years. We stock a large selection of their collection, from full length Veil adorned with Swarovski Crystals to Face Veils, Tiaras, Jewellery and even hooped petticoats. Richard Designs will design almost anything you want. Bespoke work is often undertaken and we can work with you to come up with a design you love. Elaine, creator of Sasso Bridal Accessories supply’s the most incredible marabou wraps, capes and stoles in colour choices to reflect your gown, Ivory, White, Antique Rose, Vintage Cream & Chocolate are all available in selected styles and even differentfeathers, ostrich, coque & two toned feathers. Sasso now offer other collections, including beautiful designer gloves and they have also introduced a fabulous collection of bridal accessories and hats. Sasso has it all their flowers can be put on combs for use with a small blush veil. Add crystal´s for some WOW, their silk and organza flowers can be made bigger or smaller for you, placed on a band or on a comb the possibilities are endless. Let us know what you want and we will call Elaine and start discussing. Designed and made by Kelly Scully in the UK, Tantrums and Tiaras offers exqusite pieces of bridal sparkliness. Head Pieces both vintage inspired and modern. Bridal Jewellery, hair pins and combs. Kelly works closely with us to make sure the pieces we stock perfectly complement our gowns, we even have some bespoke pieces, of course if you dont see quite what you want in the collection Kelly is always happy to take on bespoke commissions too.